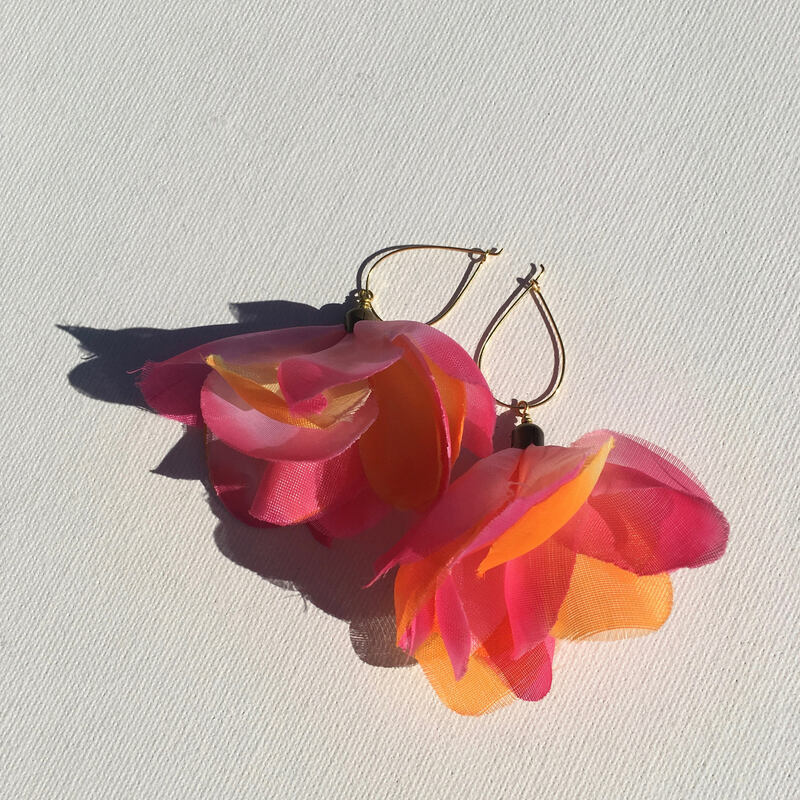 Statement fabric flower earrings In hot pink and orange, perfect to compliment any outfit for a fun summer evening. It will offer a sophisticated touch to a sporty look or be a feminine polished accessory for a more formal attire. They are daring, edgy and fashionable. 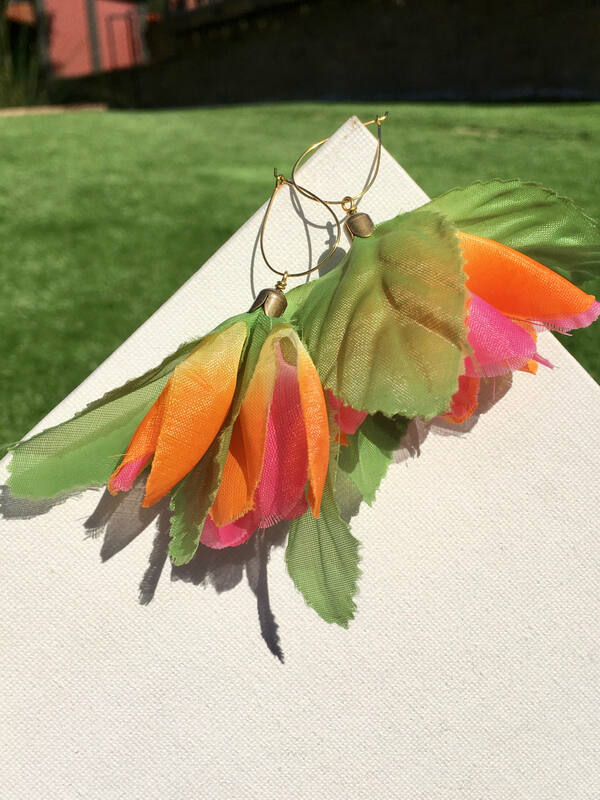 These earrings have been created from a flower lei Hawaiian necklace, to make a fun pair of earrings that can add an edgy finish to any outfit.